View of the interior of the Atlas sustainer engine. Note the injector at the center. 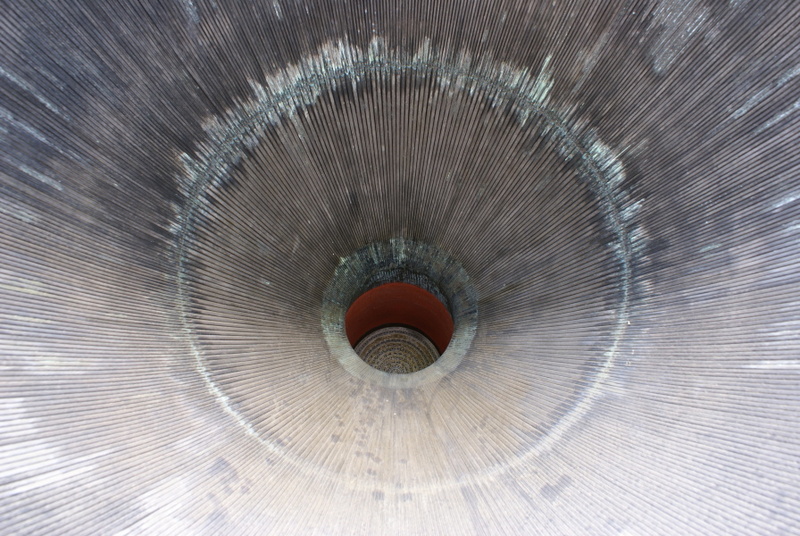 The discolored ring some distance out from the injector is where the regenerative cooling tubes forming the thrust chamber bifurcate, or split in two.